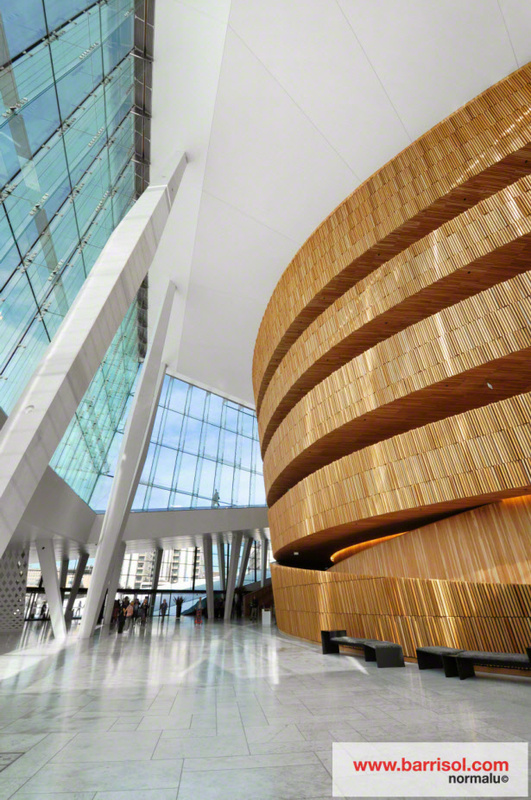 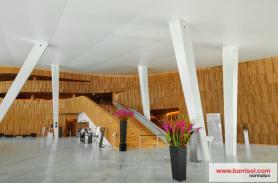 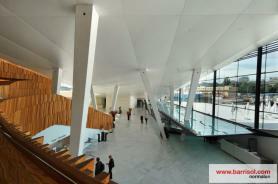 The Opera of Oslo in Norway was designed by Snohetta architects and won the European prize of contemporary architecture 2009. 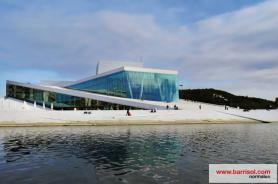 This wonderful building was built at the edge of the Fjord where it appears from the ground such an iceberg. For its construction, noble materials were used like the Barrisol Acoustics® sheets on a surface of 4000 m². 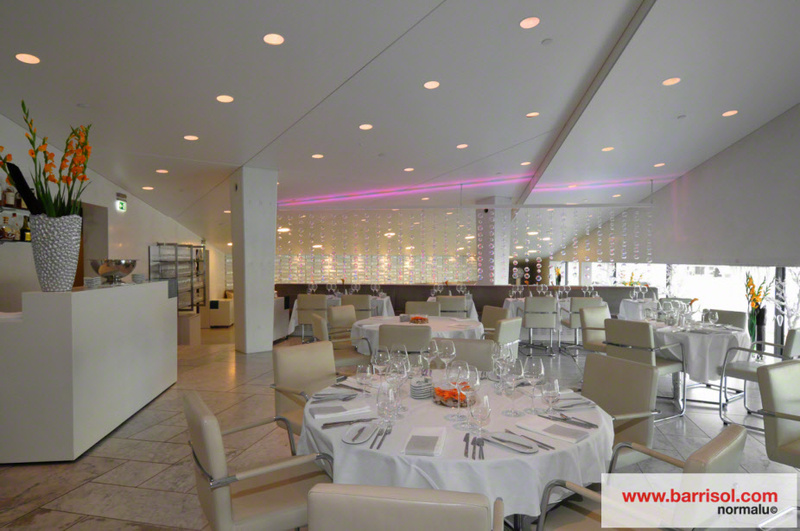 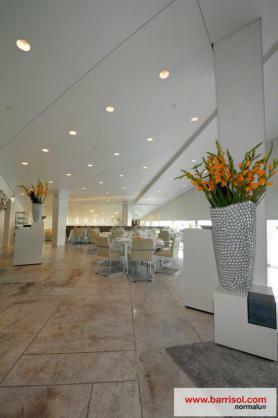 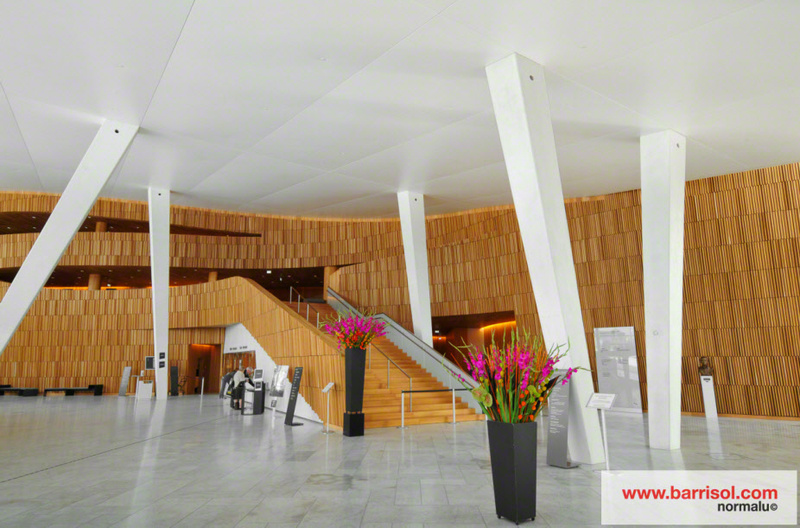 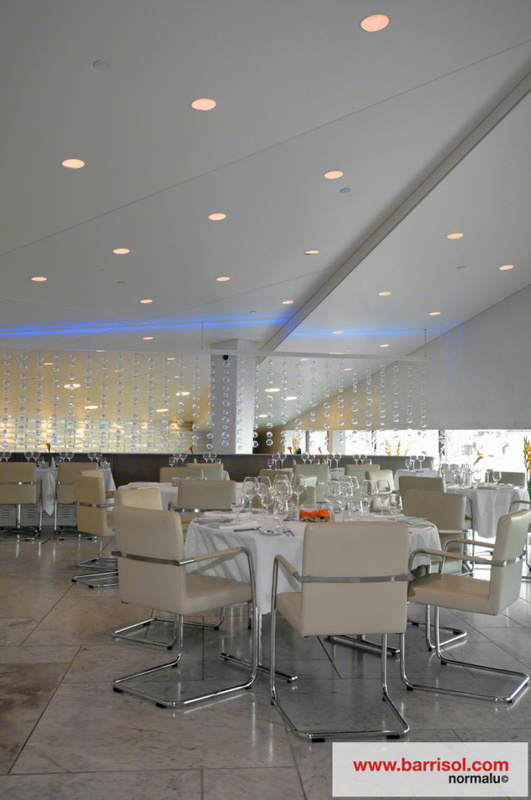 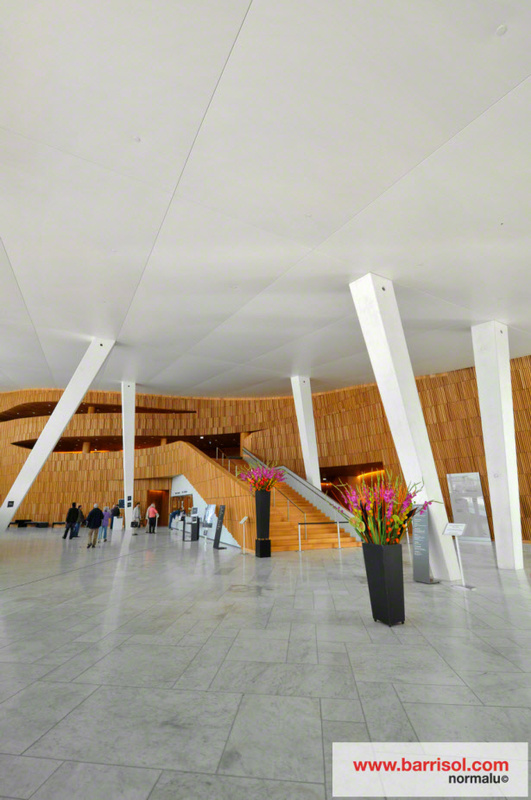 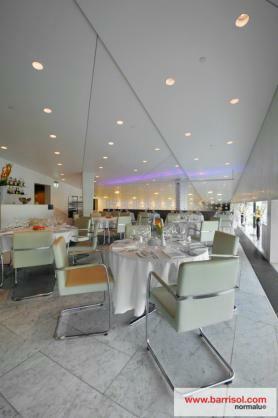 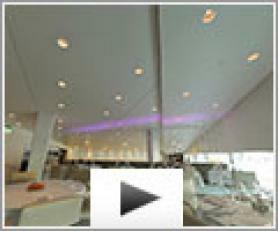 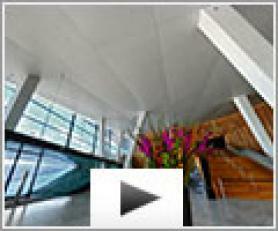 Barrisol Acoustic® sheets absorb noise and improve sound comfort in this building of 32 meters height. 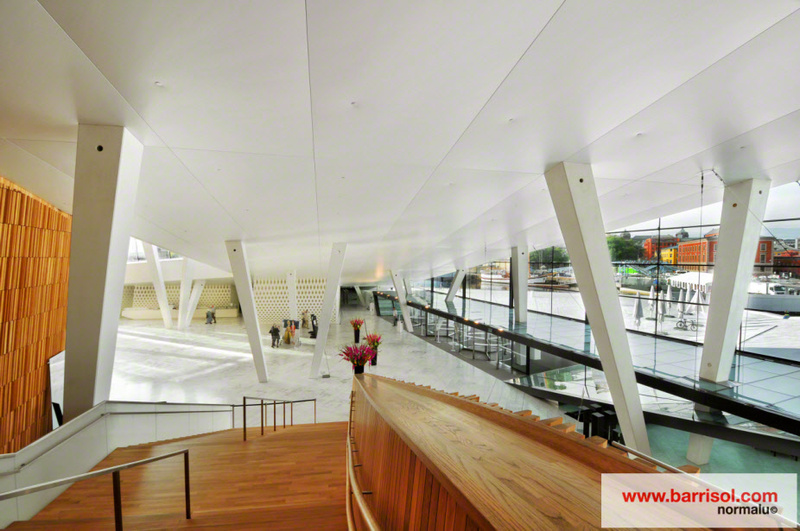 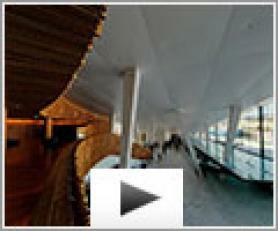 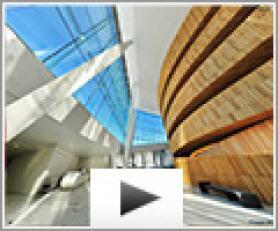 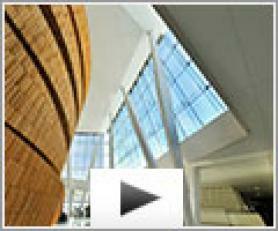 This modern and original cultural center promises to attract a large public.